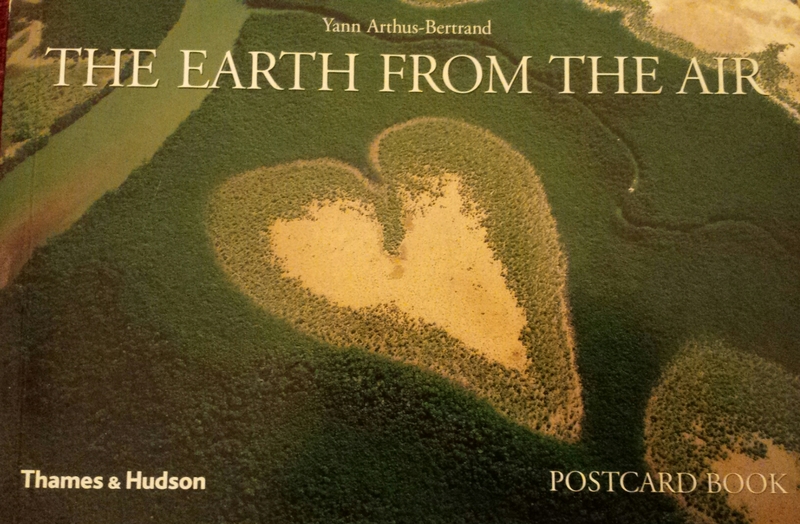 Following on from my review of Gaia, yesterday, I thought it was time to review this book of beautiful postcards. These pictures have been chosen for the book because they show both the beauty of nature, but also the impact that humans are having on our environment. Each postcard has an accompanying paragraph. For instance the one attached to the cover picture tells us about mangroves swamps and the essential role that they play in sustaining marine life, and it also tells us how the pictured swamp has reduced by half in recent years because of urban expansion and pollution. The other pictures highlight the aids pandemic in Africa, the plight of the elephant, coastal erosion but also more positive things like the white horse’s chalked on English hillsides, the role of the Guggenheim museum in regenerating Bilbao and innovations in rice cultivation. All in all a collection of photos as thought provoking as they are beautiful. Tags: book, book review, books, Earth from the air, nature, photography. Bookmark the permalink.